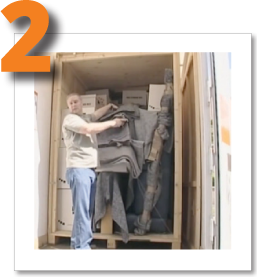 We simply come to your own house or business and leave our mobile storage unit for you to pack yourself. It couldn’t be simpler! Let us bring the Simply Store Mobile Storage Unit to your doorstep. You can load it in half the time, giving you the rest of the day to relax and enjoy yourself. We then collect your Mobile Storage Unit and take it away to one of our local storage depots for safekeeping. 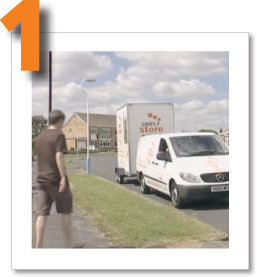 With traditional self storage you have hire a van, get friends and family to help load the van, drive to the self store depot and unload. Then you have to return the van. Don’t forget that you have to repeat this procedure in reverse when you want your effects returned! Simply Store self storage is an excellent option for storing all your frequently used items from your home or office, think of your storage unit as a second garage or another business store room.